The liver makes bile, which is essential for the digestion of fats. The liver is a vital organ with a wide range of functions, including detoxification, protein synthesis, and the production of bile, which is necessary for digestion. The bile produced by the liver is essential for the digestion of fats. Bile is formed in the liver and either stored in the gallbladder or released directly into the small intestine. liver: A large organ in the body that stores and metabolizes nutrients, destroys toxins, and produces bile. It is responsible for thousands of biochemical reactions. bile: A bitter, brownish-yellow or greenish-yellow secretion produced by the liver, stored in the gallbladder, and discharged into the duodenum, where it aids the process of digestion. The liver normally weighs between 1.3—3.0 kilograms and is a soft, pinkish-brown organ. It is the second-largest organ in the body, and is located on the right side of the abdomen. 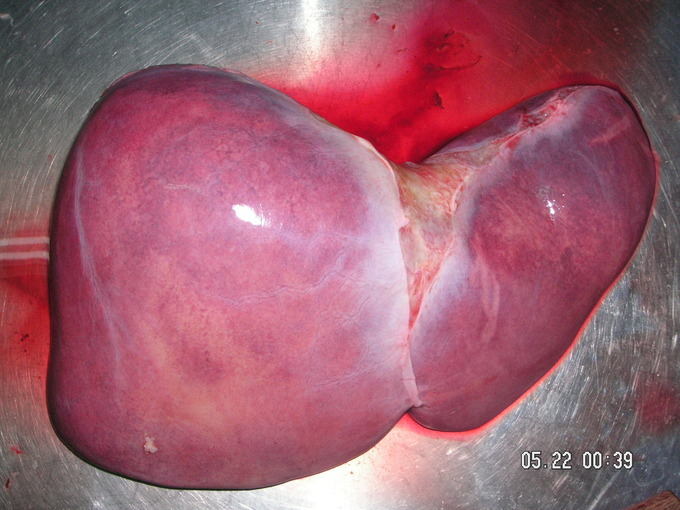 Human liver: Photo of recently removed human liver. The liver plays a major role in metabolism and has a number of functions in the body, including glycogen storage, plasma protein synthesis, and drug detoxification. It also produces bile, which is important for digestion. The liver is supplied by two main blood vessels on its right lobe: the hepatic artery and the portal vein. The portal vein brings venous blood from the spleen, pancreas, and small intestine so that the liver can process the nutrients and byproducts of food digestion. The bile produced in the liver is essential for the digestion of fats. Bile is formed in the liver, and it is stored in the gallbladder or released directly into the small intestine. After being stored in the gallbladder, the bile becomes more concentrated than when it left the liver; this increases its potency and intensifies its effect in digesting fats.